Thomas “Tommy” A. Bauer, 77, of Rochester, passed away at 3 p.m., on St. Joseph’s Day, Tuesday, March 19, 2019, at Dukes Hospital of Peru. On Aug. 18, 1941, Thomas Albert Bauer was born in Monterey to Fred and LaPearl Keller Bauer. As one of the six Bauer kids, growing up he shared his childhood with two sisters Therese and Rose Louise and three brothers Bill, Fred and Bernard. Bauer graduated from Monterey High School with his class in 1959. At the St. Anne’s Catholic Church in Monterey, Bauer and Marie Ann Reinhold were married on Oct. 23, 1965. Nearly four years ago, they celebrated their golden anniversary. As an entrepreneur, Bauer established the Bauer Grocery Store in Monterey. He operated it for a decade selling to his brother Bill and wife Bonnie. 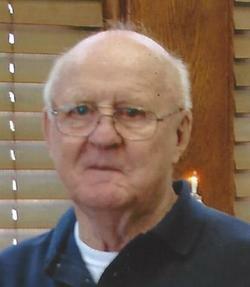 Many remember him driving for Dean Foods, delivering dairy products for many years. Others will remember him as their bus driver, delivering precious cargo to Rochester Schools until he retired. Left to cherish Bauer’s memory are a sister, Therese Greer of Plymouth, two brothers, William “Bill” Bauer and wife Bonnie, Fred Bauer and wife Alice all of Monterey and several nieces and nephews. Preceding Bauer in death are his parents Fred and LaPearl Bauer, beloved wife Marie Feb. 16, 2019, an infant son, David Edward Bauer, sister, Rose Louise Strang and a brother, Bernard Bauer. The Mass of Christian Burial will be celebrated for Bauer at 10:30 a.m. on Saturday, March 23, at the St. Anne’s Catholic Church, 6894 North Walnut St., Monterey. Father Michael McKinney will officiate. Burial will be at the St. Anne’s Cemetery. The family will receive friends from 5-7 p.m. on Friday, March 22, in the Good Family Funeral Home,1200 West 18th St., Rochester. A Rosary and Vigil Services will be at 6:45 p.m. on Friday in the funeral home. Military honors will be conducted by the Fulton County Veteran’s Honor Guard and the US Army Honors Team. Interment will be in the St. Anne’s Cemetery of Monterey. Electronic expressions of sympathy may be made to his family at www.goodfamilyfh.com.